This rarer white variety of wisteria is easily distinguished for its abundant flowering and its re-flourishing in the months of May, June and July. 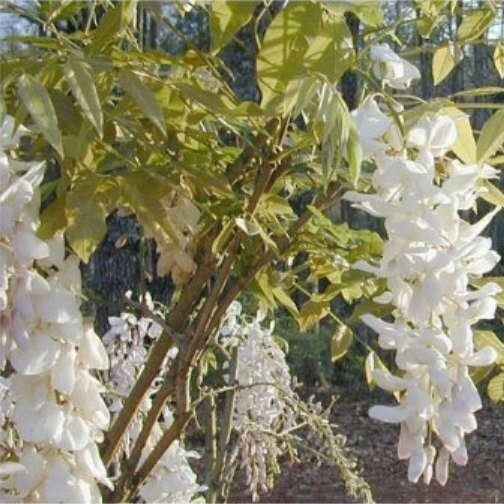 It bares flowers and bunches similar to the typical wisteria species, but white in colour instead of the regular lilac shades, and more abundant. Supplied as flowering sized strong plants in an approx 2-3 litre containers.